Accommodation in Japan is widely reported to be ridiculously expensive, but this reputation can be blamed almost exclusively on luxury hotels. Japanese employees get very little time off for holidays – five days being considered normal for a summer holiday (three working days plus a weekend). As a consequence, people want to make the most of the time they do have, and so will often think nothing of paying ¥20,000 and up per night. What you get for this price is more or less the same as you would find in a standard hotel in the West – a spacious room and an ensuite bathroom. Rooms are spotlessly clean, nicely decorated, and provide pyjamas or a nightgown in addition to all the more familiar facilities. 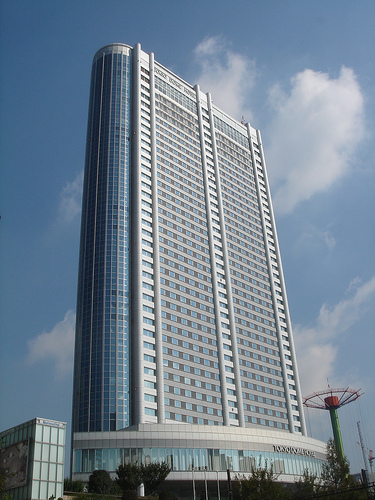 The largest and newest hotels are usually considered to be the most prestigious, so Tokyo Dome Hotel, shown here, must be very desirable indeed Perhaps the most distinctive feature is the massively over-staffed lobby – receptionists and bellboys patiently stand to attention, probably more as a symbol of the hotel’s quality than to provide any specific service. 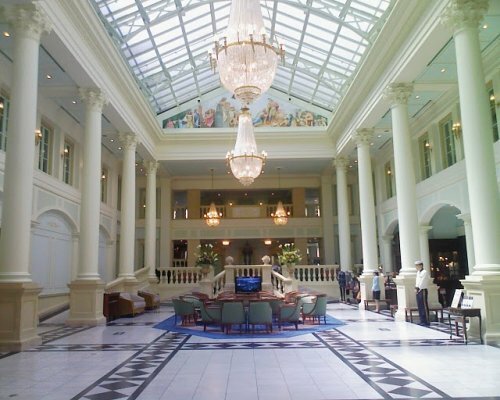 Luxury hotels are the most fashionable place to stay, especially in cities and for younger people, and embody the Japanese idea of Western luxury – even to the extent of having European-style plumbing. (Every Japanese house has a computerized bath that will fill itself with water at the touch of a button, but in luxury hotels you have to make do with mixing together water from the hot and cold taps.) While the experience isn’t as uniquely Japanese as any of the other options on this list, a stay in a luxury hotel gives you a chance to indulge yourself, and lets you experience another side of modern Japan. One of Japan’s best hotels, the Park Hyatt Tokyo, would set you back around ¥70,000 for a standard double. A somewhat more reasonably priced option would be the Keio Plaza, at around ¥30,000, again for a double.